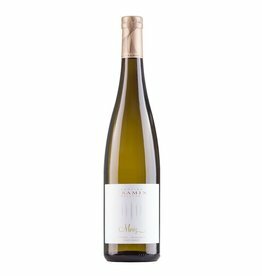 The Stoan Bianco of the Cantina Tramin is a white wine blend from 65% Chardonnay, 20% Sauvignon Blanc, 10% Pinot Blanc and 5% Gewurztraminer, which grows at altitudes of 400 to 600 meters above sea level. Only the best grapes are good enough for the Stoan, the aging is done with great patience and like all traditional wines in large wooden barrels where the wine is stored on the yeast and then again 4 months in the bottle, where the wine can settle down before it is released for sale. One of the best white wines of Italy!